"The way we see the world shapes the way we treat it." at the 33 min mark and the Power Point below for details! A New Approach to Milfoil Control - Stay Tuned! On Oct.12 and Oct. 22, 2018 a five and half hour presence/absence observational survey was made to update our understanding of milfoil in Shawnigan Lake. Thank you to Bill Savage and Shirley Astleford for their time and respective donations toward this effort! 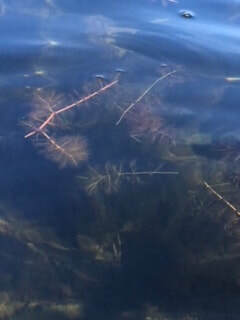 Unsurprisingly, it was quickly determined that milfoil has both spread and densified along the foreshore in depths up to 3 to 4 meters. Exceptions of presence were few and were namely where the lake bottom was rocky and/or heavily covered with silt or sediment and where there were human grooming efforts. 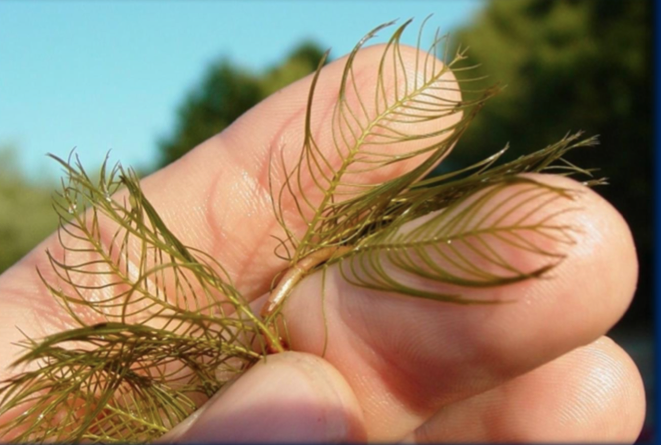 The Basin Society has determined that the threats attached to Eurasian Milfoil are sufficient to substantiate a full-scale effort to seek solutions, which will need organization and collaboration from all lake users. This will be our aim for the 2019 winter and spring and details will be made available to residents as soon as next steps are determined. Note: Madrone Environmental's "Eurasian Water-Milfoil Known Occurrences and Habitat Suitability by Depth" map (page 32 of their Final Report) was misinterpreted in several locations. 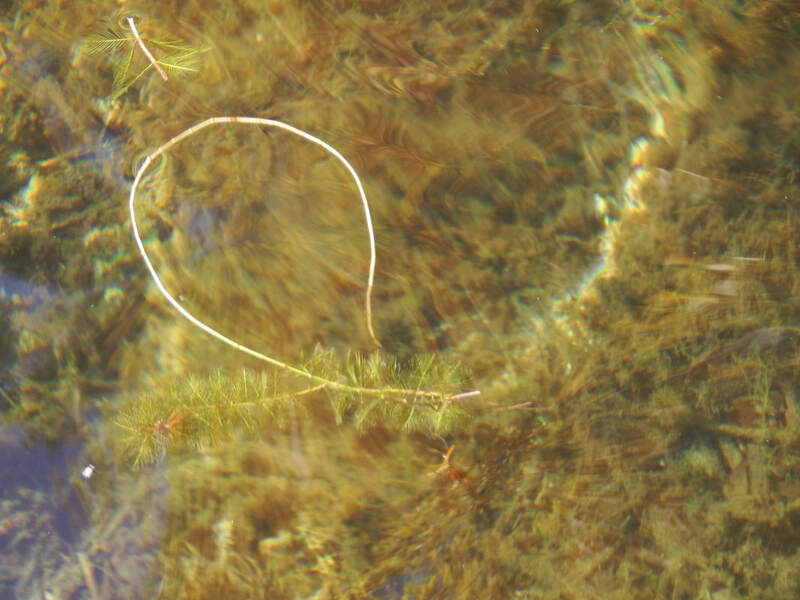 Most of the areas indicating "no milfoil observed" were, in fact, areas where milfoil was too prolific to take a propeller boat; therefore, GIS data and photographs were not documented for fear of furthering its density by fragmenting the plant. It is hoped that the Shawnigan Basin Society will conduct a second perimeter "presence and absence" survey using a canoe or kayak in the coming months. Mar Martí​nez has created several presentations on milfoil, which have been shared with the Shawnigan Resident's Association (20 Sept. 2016) and Shawnigan Lake residents (6 Mar 2017 and 12 Sept. 2017). Note: the presentation available here has been compacted and converted to PDF for uploading purposes. 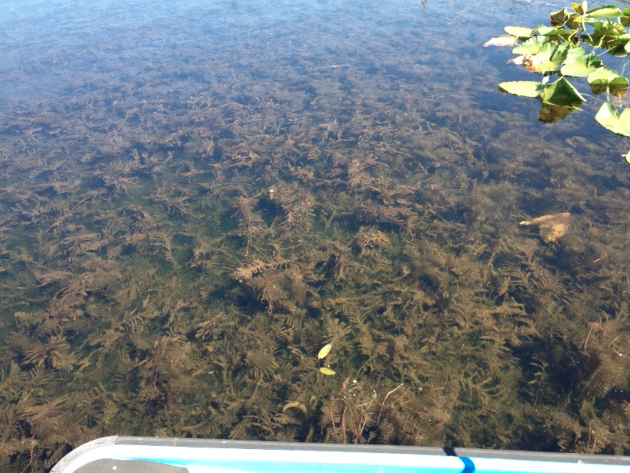 Is Milfoil a Problem in Shawnigan Lake? 14) impacts the economy of the the community overall. 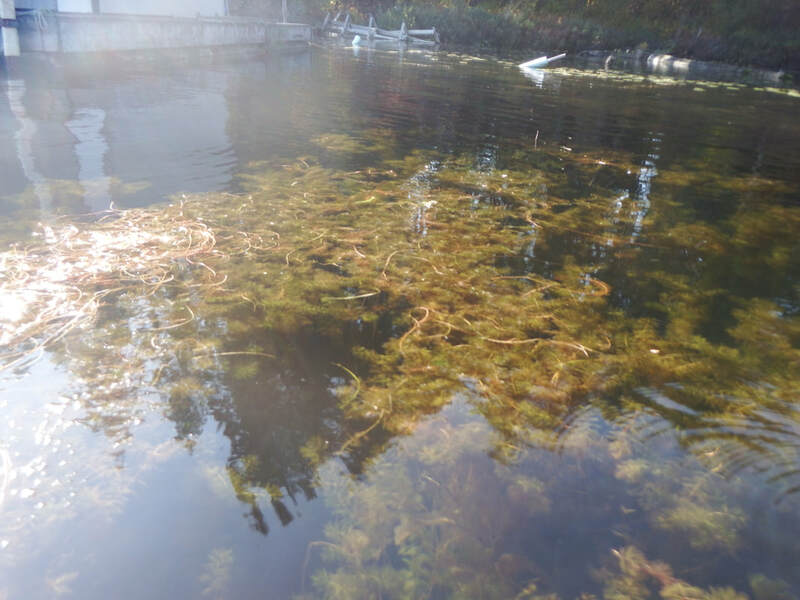 It is important to note that milfoil has been in Shawnigan Lake since the late 1970’s and to date, no efforts have been taken to monitor or control its growth. Information about its presence was shared in 2011, 2016, and 2017. However, until community members become organized with a coordinated and methodical approach to its control, spreading will continue and amplify. Original introduction of the plant was likely caused by a boat/propeller or a fish tank released into the lake containing the popular plant purchased from a pet store. 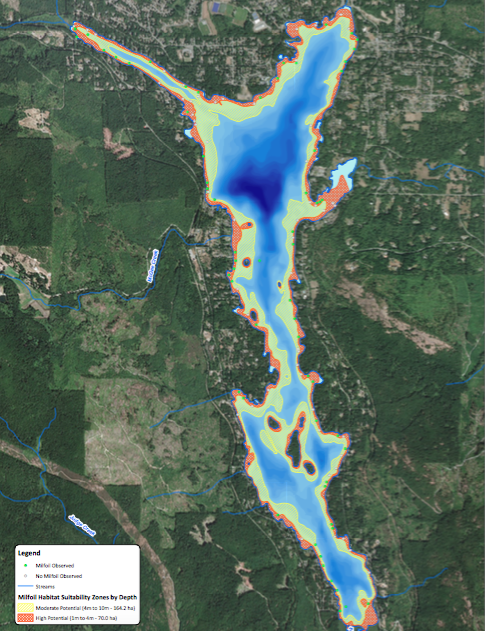 Milfoil provides one example of a human-induced ecological footprint in Shawnigan Lake that cannot be reversed. 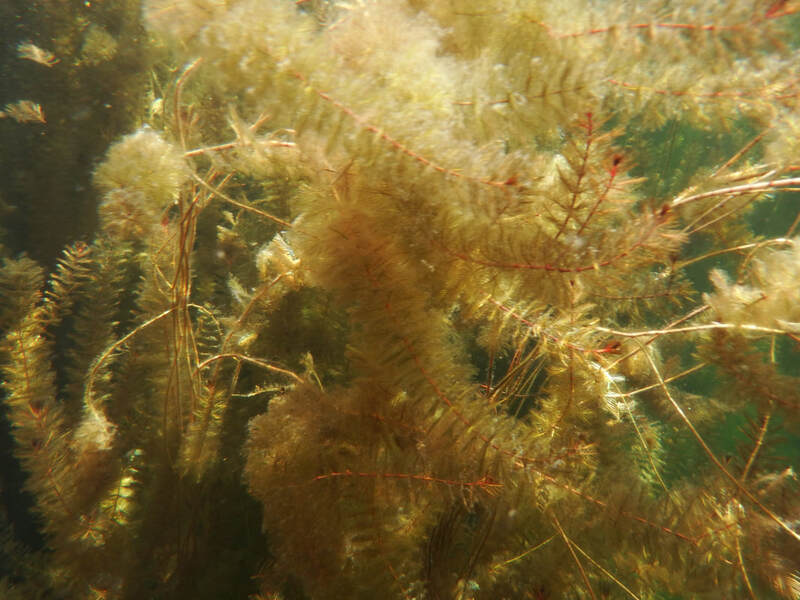 Due to the rate of climate change and the scientific consensus of projected longer warmer periods, milfoil in Shawnigan Lake has increasingly ideal conditions to grow and spread. In fact, on September 20, 2016 after a seven-hour qualitative survey around the lake we concluded that milfoil covers an approximate 80% coverage along Shawnigan Lake's shoreline. We have over 500 photos documenting this. 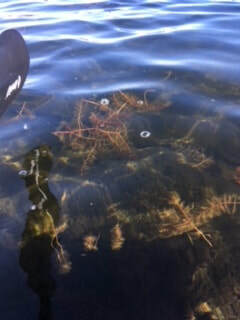 Although there are a number of efforts being made to control the spread of milfoil in other places, such Christina Lake and Okanagan Lake, no one single eradication method has been successful. This is a complex ecological issue, and it will take more than one method as well as the continued effort by all lake users to manage this problem. The SBS is working to determine what other courses of action can be taken. 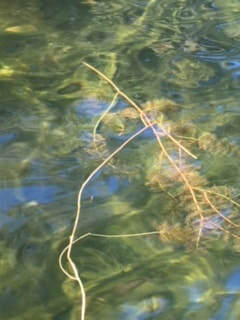 Milfoil has also recently been observed by residents in Shawnigan Creek. The Shawnigan Basin Society (SBS) is committed to sharing information about milfoil through articles in the Shawnigan Focus, information on our website, and will continue offering presentations and discussions to our residents. However, at this time, we encourage lake users to gently pull the plant carefully by the roots to ensure that further growth does not occur. This ought to be done on an annual basis. Additionally and ideally, boaters are encouraged to turn off their propellers so as not to fragment existing plants into pieces. Not doing so will further work to spread both milfoil seeds and plant fragments. Finally, it is recommended that any plants removed be kept away from the shoreline; they can be used as an effective garden compost.